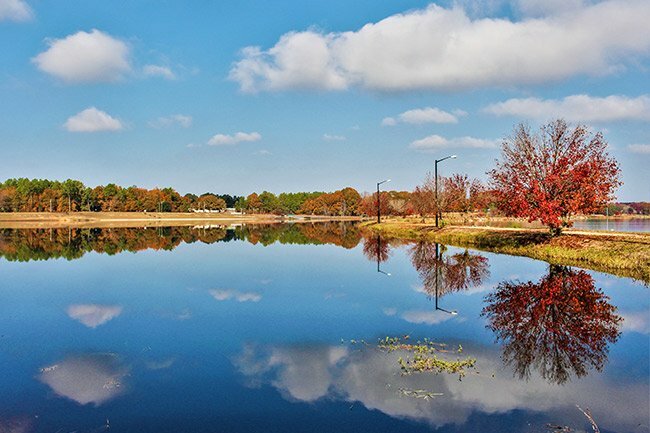 Tucked away in the pines of Bennettsville lies Lake Paul Wallace, a 300-acre man-made lake used by locals for boating, swimming, fishing, and bird-watching. 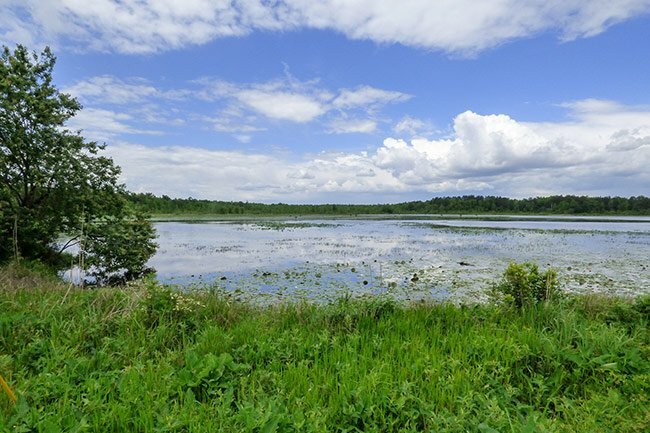 The Lake Wallace Wildlife Management Area consists of 52 acres and serves as a public dove field. These hunting grounds are managed by the South Carolina Department of Natural Resources, which also owns nearly 750 additional acres on and surrounding the lake. Lake Paul Wallace is divided into three sections designated for different uses. The eastern side of the lake is reserved for swimming and boating and includes a mile-long water-skiing channel. Across the lake is an area stocked with fish that welcomes boats with motors of 10 horsepower or less. Finally, the reservoir not only provides Bennettsville with its drinking water, but it also is a waterfowl refuge. Anything from geese, herons, ducks, and eagles can be viewed here. Several trails encompass the area, including two-mile-long Crooked Creek Trail and a three-mile trail that circles the lake. Lake Paul Wallace is host to the annual Summer Beach Blast which draws around 2,000 people to its white sandy beach each year. Artist Don Wayne Chavis II, who created the below oil painting of Lake Paul Wallace titled Wallace at Night, shares the following: “Lake Paul Wallace, a 300-acre man-made lake maintained by the SC Department of Natural Resources, has three sides and is a very special place to my entire family. I am one of three visual artists in my family. My three sisters and I grew up in Bennettsville and frequently would walk, fish, boat, swim and picnic at this lake, which has provided much artistic inspiration and recreation during all seasons. Why are they draining the lake?